Things looked pretty solid for Mike Tirico at NBC in 2017. Coming off a stint as studio host and contributor for NBC’s 2016 Summer Olympics coverage, Tirico was tabbed to replace Bob Costas as NBC’s primetime host beginning with the 2018 Winter Olympics. The former SportsCenter anchor also (finally) became the play-by-play commentator for all of NBC’s Thursday Night Football game broadcasts. He also took over as the lead on NBC’s Triple Crown coverage and became the network’s play-by-play commentator for Notre Dame football. When NBC lost Thursday Night Football, however, that took the wind out of Tirico’s sails a bit, considering NFL coverage was the thing he was best known for and was considered the cornerstone of why he came over from ESPN in 2016. Since then, Tirico has continued to cover all of the other aforementioned roles and has peppered in just about every other major sport as well. He’s handled the network’s coverage of the Indianapolis 500, British Open, and Ryder Cup. Basically, Tirico has become NBC’s go-to person for any and all sports event. 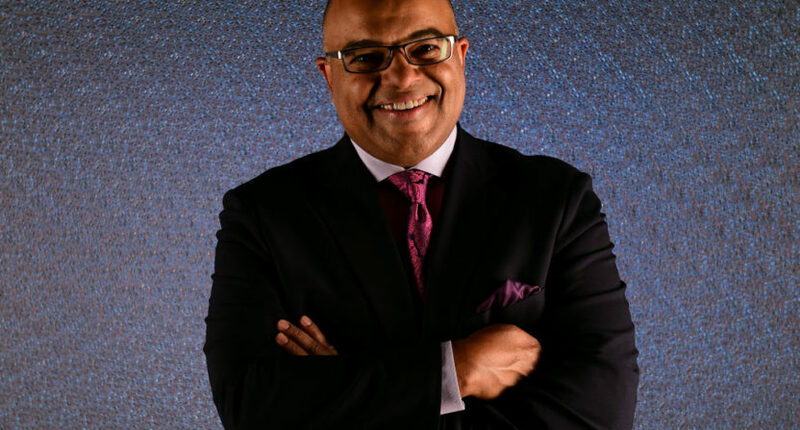 When it comes to hockey, Tirico has been a host for the network’s coverage of the Stanley Cup finals, the Winter Classic, and the All-Star Game. And now it appears they’re going to start peppering their A-lister into regular hockey coverage. It was announced Thursday that Tirico will call his first-ever NHL game when the Detroit Red Wings take on the Chicago Blackhawks at Little Caesars Arena on February 20. Given everything he’s accomplished so far in his career, it’s surprising it’s taken this long. Though, given how he’s been busy with NFL college football, and Olympics coverage for much of the past decade, there hasn’t always been much free time until now for the 52-year-old. Tirico will call the game alongside NBC’s lead game analyst Eddie Olczyk while Brian Boucher will be the “Inside-the-Glass” analyst next to the two benches. NHL coverage might be a new experience for Tirico, but it’s one he’ll almost certainly shine in. In fact, we’ve been waiting for it to happen for a long time. Our own Taylor Nigrelli hoped NHL coverage would become part of his repertoire back in 2016 when it was first announced Tirico was headed to NBC. It took a little longer than hoped, but, he got there eventually.